Vision problems can happen at any age. However, the risk of many eye diseases and disorders increases with age. In the United States, over 75 million baby boomers were born between 1945 and 1964. For everyone, including our aging population, early detection and treatment of eye problems and diseases can help ensure a lifetime of good vision. Many eye problems that affect the vision of older people may actually develop earlier than the symptoms. For this reason, the American Academy of Ophthalmology recommends routine eye examinations for adults according to the following schedule. This examination may include a dilated eye exam / slit lamp examination, tonometry, visual acuity test, and refraction. Depending on the results of these tests, your doctor may recommend additional testing. Although most young adults have healthy eyes, a complete eye examination is recommended at least once during this period. 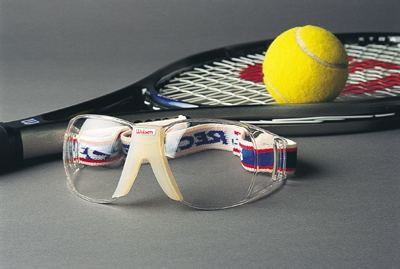 You should also use protective eye wear when playing sports, working with tools or chemicals, and doing yard work. 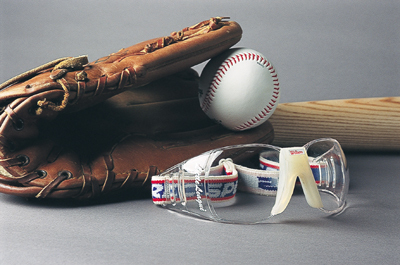 Protective eye wear can help prevent vision-threatening accidents – accidents that can happen at any age. A complete eye examination is recommended at least twice during this period. Eye safety measures discussed above should also be followed. A complete eye examination every two to four years is recommended for most adults, since middle age is the time in which certain eye problems can begin. Since early detection and treatment is the key to maintaining your vision, you should ensure that you have regular examinations. Because the risk of glaucoma and other age-related disorders, such as macular degeneration and cataracts, increase with age, Kadrmas Eye Care New England recommends annual eye examinations beginning at age 50 (or at age 40 for patients with a family history of glaucoma). Diabetic retinopathy can affect people of any age, so yearly eye exams are recommended for all people with diabetes. People at risk for glaucoma, diabetic retinopathy, and other eye conditions such as cataracts and macular degeneration, have a better chance of preserving vision if they are monitored early and regularly by an ophthalmologist or eye doctor. You can learn more about the risk factors for these individual disorders by clicking on the links. You may also ask your eye doctor if you are at risk for these eye disorders, and if you are, how often you should have an eye exam. Some vision changes are natural as we get older. Most of these can be adequately corrected with glasses, contact lenses, or refractive surgery. However, sudden or frequent changes may signal a problem and should prompt a visit to an eye doctor. Remember, protecting your eyes from accidents, and the early detection and treatment of eye problems are the best ways to keep your healthy vision throughout life.